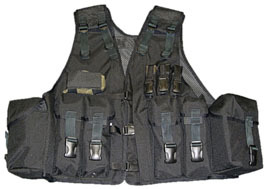 This Assault Vest is based on the the very successful Special Opps Vest. Ammo Pouches have been designed to carry Ak47 magazines. 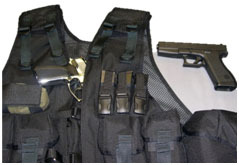 On this variant the requirement was also for Glock concealed holster and Ammo Pouches for a hand gun.